SO....BEFORE THE RUNNING WORKOUTS BEGIN!! ”Running Workouts are They Good for All Dieters? Or should caution be heeded engaging in running workouts for those with excessive pounds? More weight means more pressure on all bones and joints! 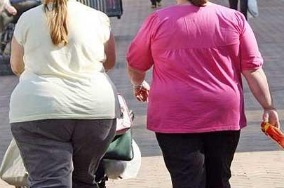 Being overweight generally means the body carries huge amounts of pressure on the organs in the body. Swollen ankles, legs and knees makes walking difficult. So, why would you run as a weight loss exercise? You wouldn't, you would get into a walking routine first!! Then after you have lost weight running for 5 or 10 minutes at a time is a marvelous way to lose weight. Years ago while jogging around campus with my "Running Instructor".. He imparted a small fragment of wisdom on me. He said, "after running for a certain amount of time adrenalin kicks in and no effort is needed to keep going." He was, of course, correct. I don't run any more because my knee can't handle the hard impact of a running workout. However, I do get the same "Kick" during my walking escapades. It takes longer, running used to take about 15-20 minutes before I'd get my adrenalin rush. If I am very weary while walking it can take well over a half hour before I feel the surge!! Surely, all experienced runners get that "Fun Rush." They know exactly what I am talking about. If you take the time to listen to your body you'll know feel the surge of energy. You'll feel like you can jog for hours. If you have this much weight on you body please visit with your physician before attempting a walking or running workout. You'll need a complete physical along with complete physical therapy workouts before attempting more than a few minutes of brisk walking. Over 250 lbs under 5'4"-Walk 20 minutes for 1 month; 30 minutes for the next month; after 3 months as long as you want. Resting for 2-5 minutes after 10 minutes of walking. Once you have been on a walking diet plan of 45-60 minutes/day; and have lost at least 50 lbs you can discuss running with you health care professional. Remember: walking for 45 minutes 4 days a week can drop 30 lbs a year without altering your eating habits. Over 250 lbs under 5'6" Walk for 5-10 minutes rest for 2-5 minutes then walk for another 10 minutes for the 1st month, in increments of 10-15 minutes extend your walking every month thereafter. Once you can walk for 45-60 minutes you are ready for a running workout. And after you have lost at least 50 lbs. Under 200 lbs-Over 150 lbs; under 5'4": 20-30 minute walks 1th month; 30-45 minutes 2nd month; as long as you like thereafter. Consider a running workout after you have lost at least 25 lbs. Under 200 lbs-Over 150 lbs; under 5'6": 20-30 minutes walking 1st month; as long as you want above 30 minutes thereafter. You should be ready to run after 2 months of walking and a complete physical with your doctor, but not before. 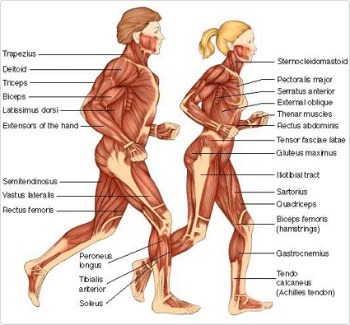 Those individuals who are under 150 lbs between 5'2" and 5'4" should be fit enough to walk as they like. But, before considering a running workout check with your doctor and get a stress test done first. Warning: do not start any form of rigorous exercise if you are not accustom to movement. Your heart and other organs need a gradual building-up of "even walking" before exercise can actually help you. So, getting your body ready for running workouts, you'll need to start with much smaller steps. And the best pre-running activity is WALKING! !